Don is kept busy not only as a Singer/Songwriter/Producer, but he is also in demand as both a personal and group Performance/Vocal Coach. 1) He not only coaches Vocally with the Artist/Client but with the combination of his years of Live & Studio experience, Don works closely with Artist/Client on performance techniques of their song & vocals both "Live & in Studio"
2) One way that Don also works with is his students/clients is in teaching them how to sing as a back up vocalist not only for their own material but for other artists too. Most singers concentrate only on becoming a lead vocalist but are never taught the art of actually singing back up vocals or harmonies. This is a very important part of the recording process and also for Live shows. 3) Many producers both locally and nationally look for good back up singers for their recording projects, and good ones are hard to find. If needed, Don will guide you through the various steps and ways to sing great harmonies and back up vocals. ~ Currently he teaches/coaches in the Vancouver area but can be contacted to travel for an artist and or band if needed. Some of Don's Amazing Singers!!! AC Bonifacio releases first single and video!!!!! Look for more development from this up and coming New Canadian talent! Fifteen year old Brynja is the older sister of Sara Sverrisdottir and lives in Denmark along with her family with 7 kids..........4 brothers and 2 sisters!!! She is vocal coached by Don via Skype each week between Vancouver and Denmark! She has done Theater, Film and TV. She is currently writing her own material, and was selected by “The Bank Recordings Studio’s”, and is being mentored by Sebastian Owens and Kristoffer Winkler. At 13, Sara is the younger sister to Brynja Sverrisdottir. She also has done Theater, Film and TV. ​She is also coached weekly by Don via Skype between Vancouver and Denmark! Sara competed on the AWARD- WINNING TV Singing Show, "The Voice" Junior Denmark, in August 2017. She sung “Thousand Years” by Christina Perry, “Kiss from the Rose” by Seal. She is also working on some of her own material, and has recorded also. She also trained at Fredie Pederson International Dance Academy and Millenium Dance Complex LA. Mitchell Kummen was born in 1999 in one of Canada's coldest cities, Winnipeg, Manitoba, but no amount of frost could keep this energetic child still. From the moment the doctor announced to the Kummens that they had a baby boy, Mitchell took over the room. By 8 years old Mitchell was a huge Jackie Chan fan and asked his mom how he could meet the star. Mom, focused on the potatoes that she was peeling, threw out the answer "you'd have to become an actor." Little did she know that this is exactly what her young son would head straight out to accomplish. Mitchell's first role came almost immediately through one of the most difficult situations possible, an open casting call. Unaffected by the dozens of children trying out, Mitchell nailed the role of a paperboy in the TV situational comedy 'Less Than Kind'. For the first role of his career the young actor had to catch the star smoking marijuana and so the unusual life of a child actor began. In his second audition Mitchell landed the role of the younger version of Don Cherry, a part in which he was given the strap, another thing that he had never heard of. Then there were the long lingering kisses with Sabrina Carpenter in the feature film 'Horns' as the younger version of Daniel Radcliffe, the outdoor roller coaster ride in a shopping cart in his underwear, and so on ... Mitchell couldn't have ever imagined anything so grand when he first set out to meet Jackie Chan. Mitchell has worked steadily for the past 8 years on every format possible, building a resume of a veteran actor at only 18. Everybody loves this kind, extremely talented teen; casting directors, producers and directors repeatedly request him for their projects. When he isn't on set or involved in any number of classes honing his craft, Mitchell can likely be found working hard to support groups fighting to put an end to bullying and the stigma behind mental health issues. Mitchell Kummen is, quite simply, a rarity. "Sallie Carreon is a Canadian recording artist, singer, and song-writer. Raised in Vancouver, Sallie made her first public performance at the age of eight during a Christmas concert at Burnaby’s Michael J Fox Theatre. In 2014 Sallie signed a single release deal with XOXO Entertainment an imprint label of Universal Music Canada and recorded “Santa I Need A Miracle” co-written and produced by Adam Hurstfield and Bryant Olender. This heartfelt, seasonal pop single charted at No 2 on the Top Downloads & Most Active Indies list. Sallie recorded the demo "Bulletproof" which became the single on Asia’s top recording artist, Sara Geronimo's platinum selling album "Perfectly Imperfect". Creating magic in the studio, Bryant Olender would then sign Sallie Carreon to his independent record label Really Grateful Music in 2016. Performing on stage with Broadways cast of Disney Presents the Lion King Musical and singing the Canadian & USA National Anthems for the Whitecaps. Sallie Carreon’s soulful voice blending pop and R&B combined with her tasteful style, Sallie Carreon will no doubt be the artist to watch in 2017." Charlotte Zone, age 10, hails from London England. This young singer/actress/model attends full time Theatre and Arts School in London. Curtis has been coming to Don Wolf for Vocal Coaching now for just over 2 years. 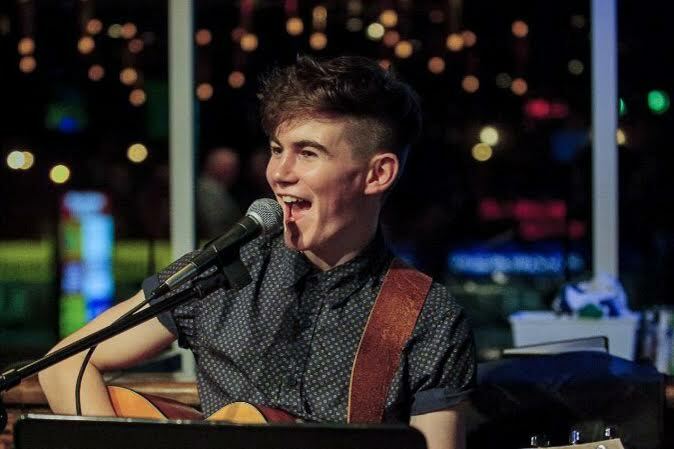 He has been honing his vocal skills along with his writing and recording also with Don. In 2014 Curtis recorded his first two songs with Don Wolf, who produced and mixed the sessions, and out of these recordings came his first two releases, "Break Down and Cry" (as Curtis puts it-sounding like Led Zepplin and Styx mashed together with a really strong acoustic hook), and "Run Too Far" (an intense and energetic song with a re-invented blues rock sound). Click on the links to purchase and download both of Curtis's songs here! On CD Baby - "Break Down and Cry" or On i-Tunes - "Break Down and Cry"
On CD Baby - "Run Too Far"or On i-Tunes - "Run Too Far"
Worked with Austin many times via Skype for Vocal Coaching and also traveled down to Gilbert, Arizona to work both with Vocals and Songwriting. Please check out this young Artist/Singer named Sean Thomas who I am currently involved with and if you can help out his worthy cause. ﻿Yes, Sean is the "Real Thing" and a wonderful young man. Jay McDonald – Vocals/DrumsLike a lightning bolt on the scene, HEY BOMBSHELL arrives with their official debut single “THE SINGLE LIFE”; an infectious track about life after a break up through the eyes of a hip, heart broken, party animal! Signed to the new XOXO Entertainment Corp. (a Universal Music Distributed label), fronted by hit maker Adam H. Hurstfield (Elise Estrada, Ne-Yo, Ray J., Emmalyn Estrada, JahFus, Loverboy, Def Leppard), HEY BOMBSHELL is making big noise with their debut song “THE SINGLE LIFE”, debuting at #17 on the Billboard Canadian Emerging Artist chart, and receiving an instant ad in to HEAVY Rotation on MuchMusic. “THE SINGLE LIFE” is also the retiring 5-night champion on Sonic Radio (Vancouver) and Z103 (Toronto). The media blitz has already begun; HEY BOMBSHELL has been a top trending topic on Twitter (Vancouver) as well as receiving 1,944 notifications in just one hour, as die-hard fans tried to “Win To Get In” to their recent intimate and interactive SONIC SESSION with SONIC Radio (Vancouver). Recently, HEY BOMBSHELL had their music featured throughout the entire 2012 Much Music Video Awards, they have appeared in 24Hrs Magazine multiple times, and interviews with the group have been done with 680 News, Kenton Magazine, TheProvince.com and more! Hailing from Calgary, AB, HEY BOMBSHELL has won an impressive amount of accolades, including AMP Radio Calgary’s “AMP ROCKSTAR” competition where the group walked away with a cash prize of $200,000! On the touring side – HEY BOMBSHELL has had the opportunity to play in front of large crowds, in high profile concerts such as the Calgary Stampede “Coca-Cola” main stage as well as share the stage with respected artists such as “Fefe Dobson”, “These Kids Wear Crowns”, “Down With Webster” and more. 14 year Desirae has been blessed with the opportunity of a lifetime. Mega-hit writer/producer Adam H. discovered Desirae at an audition in Vancouver BC and was wowed by Desirae’s musical talent and captivating energy. Immediately, Adam H. brought Desirae to the attention of one of Desirae’s idols, pop superstar “Elise Estrada”. Don vocal coached Desirae in preparation for the studio and while she was in the studio recording each of her tracks. Crushin’ has been paving Desirae’s road to stardom, with over 80,000 VEVO views in a matter of days and her dedicated and constantly growing fan base on her social media Desirae is destined to be a star. Jerrica is an R&B Pop Recording artist from Vancouver. She is already an accomplished singer, songwriter, musician and professional Polynesian dancer and has received her ARCT Royal Conservatory of Music Diploma for Piano. Aside from her musical talents, Jerrica is also a Bachelor of Science in Genetics Graduate of UBC and has been accepted to the Doctorate of Optometry program in the New England College of Optometry in Boston, Massachusetts, US. Drawing on her love of Soul and R&B, her singing style is most influenced by the likes of Alicia Keys, Mariah Carey, and Beyonce. Jerrica is best known for placing in the Top 32 finalists during the 2004 season of Canadian Idol. This past summer, she became the Runner Up at the 2012 PNE Star Showdown winning $2000 Cash and $15,000 in scholarships to the New Image College of Arts. In the summer of 2011, Jerrica's electrifying performances allowed her to become the Grand Canadian Karaoke Champion and went on to represent Canada at the World Karaoke Championships in Killarney, Ireland where she became the 2nd runner up and gained international recognition. She was also honored to be chosen to sing the Canadian National Anthem at the unveiling of the countdown clock for the 2010 Winter Olympic Games in Vancouver. She has performed in Japan, South Korea, Las Vegas, Los Angeles, Hawaii, throughout Canada and the USA and at various local charities. This upcoming new year, Jerrica will be going on tour throughout the Philippines to promote her brand new album. She is currently working on her 3nd album set to release January 2012. With dreams of becoming a recognized international recording artist, Jerrica's passion and talent shines through her original music and each of her performances. Dave Khan Singer/Guitarist for "Scythia"
Western Canadian epic/progressive metal band with a knack for storytelling! Like a charging bear, since 2008 Scythia have been playing some of the most epic progressive metal with a twist of folklore. Each member, while bringing their own style, they have coined their own sound while drawing from different genres. Scythia’s album, tracks, and performances features rich, poetic storytelling, and an epic tale that captures the imagination of all who are privy to its lyrical melody. Because of this, and touring like a cavalry of nomads, they have taken the independent scene by storm as they gather more and more fans both domestically and internationally. Scythia acquired its name from vocalist/guitarist Dave Khan’s infatuation with a painting of Nordic/Russian warriors riding bears while brandishing swords. Scythia not only gives the painting musical significance, but it is also the name of an ancient empire spanning from the Caucasus through Russia, and even into eastern Scandinavia. Since then Scythia has kept an eye on the future, and constantly are growing and increasing their impressive discography. Scythia delivered their first album “Of War" in 2010 where the band's distinctive sound was forged, which carried on to their next release “Of Exile”. Scythia, a very ambitious, technically and sophisticated band that continue to rapidly grow and tour across Canada. While recording their third release, “For The Bear”, their sole purpose was to bring great melodic metal to the table, which in response has received nothing but a sensational response in the media and radio. Most of all they did not forget their fans, new and remnant from their earlier years. “For The Bear” is a seven-track EP, that steps aside from the orchestration and central concept of its predecessors and has a faster, more aggressive, and is far more tighter. Their constant and rapid growth and talent as a unique band is undeniable. "The band is finally finding it's ideal sound. This next album we are currently writing feels very natural and forms the perfect marriage of progressive power metal and catchy epic anthems." Says singer/guitarist Dave Khan. "That's why we are putting our strong cards together and getting it done right!". The band will be heading to both Germany and Finland to work with a reputable metal engineer and reputable metal producer to help them sonically fulfill this vision. Early on in 2013 the band is getting recognition with more reviewers giving them high ratings. Most of all they were nominated for the Best Metal Group/Duo for Canada’s Sirius XM Indies - Independent Music Awards. Other nominees include Bison B.C, Derelict, Devin Townsend Project and Mares Of Thrace. This is a great honor for the band to be included as nominees for these awards since they represents the Canadian independent music scene. "Receiving this nomination shows that Canada takes us seriously as a strong presence in the scene. Given the reputation and career of these other bands, it goes to show that our hard work focused in a few intense years has brought us quite far. Regardless, now is not a time to rest on our laurels, but instead to refine our craft and continue to expand our circle of influence into international venues"
The next two years, Scythia has its sights set on new and larger horizons. The upcoming years will unboundedly be exciting for Scythia as they set ahead to working on their next album which will be produced by Nino Laurenne (Ensiferum, Wintersun, Kiuas, Firewind). They are getting ready and packed for more touring in Canada and then setting sail across the seas. Not only is Scythia a hard working group, they keep aligning themselves with the right people to move forward they are also one of those bands that simply gets better with each album, and with every show. 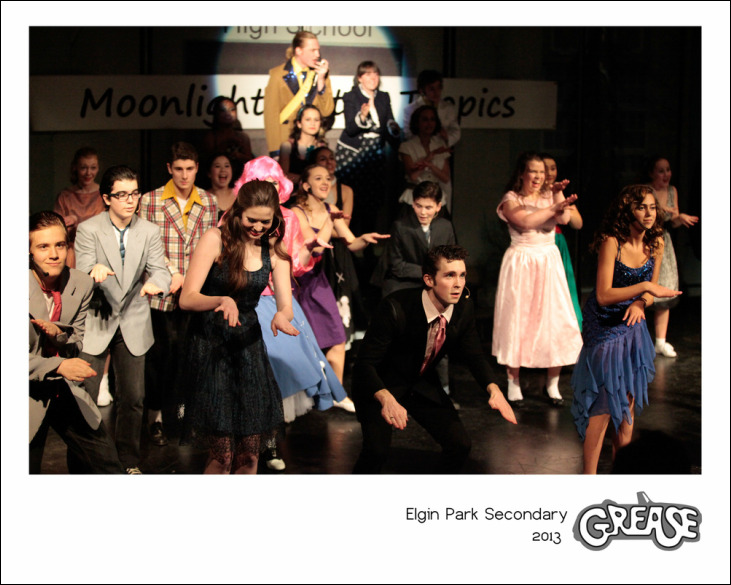 ~ Starting in October of 2012, Don was asked back to be the vocal coach for Elgin Park Secondary`s (South Surrey/White Rock, British Columbia) production of the hit musical - "GREASE". ~ This show was performed at the end of February 2013 to Rave Reviews and "Sold Out" audiences every night! Sam Bradley a wonderful Singer/Songwriter that I had the pleasure of coaching in December of 2010 here in Vancouver, while he was taking a break for Christmas visiting family. He is a gifted singer/songwriter. (From his website bio) - In 2008, came the Twilight soundtrack. His song “Too Far Gone” - a “gentle compliment to the dinner scene” – was a track he co-wrote with the film’s leading male star Robert Pattinson. The soundtrack reached the number one spot on Billboard charts, and the entire Twilight movement reached a pop-cultural status of undeniable proportions – all of it revoked Bradley’s anonymity while providing the jumping off point to begin production on his first formal release. ~ In December 2010, Don was added to the Roster of Teachers/Instructors/Coaches at Vancouver's, "Rockstar Academy"
~ He was involved as a Vocal Coach where he taught students all areas of singing and working their voice and how to maintain their vocal stability both on and off tour. ~ He was also involved with Hit Songwriters & Producers such as ADAM H, in helping the students write their very own song, getting it critiqued, recording it, and then being offered tips on how to edit and take their song to the next level! ~ Starting in October of 2010, Don was the main vocal coach for Elgin Park Secondary`s (South Surrey/White Rock, British Columbia) production of the Stephen Flaherty/Lynn Ahrens hit show - "Seussical The Musical" which was performed at the end of February 2011 to Rave Reviews and "Sold Out" audiences every night!